After a few month's of discussion with my insurance company after I was knocked off , we came to an agreement this week on money. 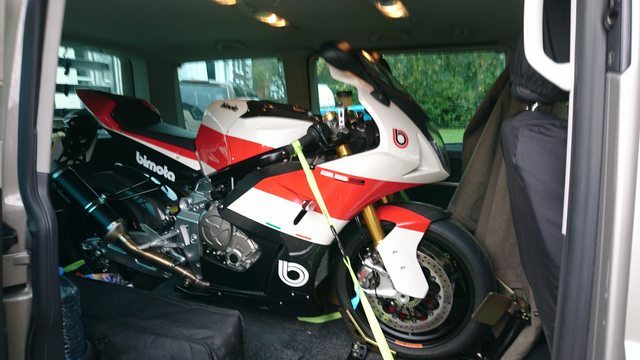 And then as if the God's were smiling a new Bimota turns up in the UK for sale. New toy loaded for home. straight in the garage and then time to be nice to Mrs Vort !! Congratulations ! It look great ! What's the story behind that insurance problem ? You obviously love her very much to buy her such a sound investment! 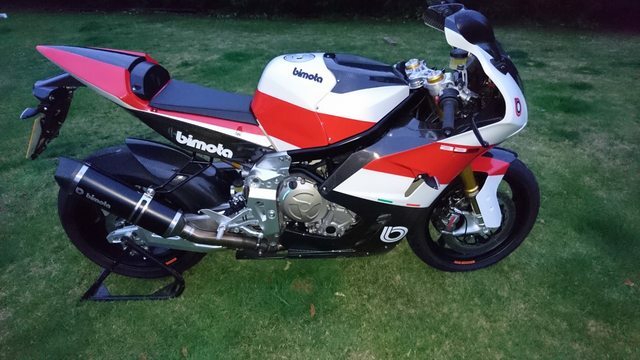 Problem was the rare nature of Bimota's really. No dealers, no factory ( well that answer's emails, whether open or closed) , no way to get part prices and even if they could probably not available to buy and then no list's in their Glasses guide for a value , basically no information so it was a bit of an uphill battle plus turns out agreed value is not actually agreed unless a comparison is available. I would recommend that when your insurance comes everyone takes a good look at their value and terms and conditions. Also the condition/availability of what is out there and how value changes with condition. I would also recommend camera's as it appears the insurance companies are not bothered these days about who's fault it is, they just go 50/50 fault as it saves them solicitor's fee's and both people lose their no claims. My insurance had a third party claims handler outfit actually looking after the case and they are obviously on a set fee per claim as they did'nt want to put any effort into research. This was all left up to me , but to be fair after I got all the info together they actually checked up on some of them and then agreed a value.